If your sales revenue has been stagnant lately, you might need to incorporate some new sales strategies. New strategies can successfully drive more revenue for you and your organization. Here are five innovative sales strategies to drive more revenue for your business. We encourage you to look for some new sales strategies outside of this article and give them a try as well. This may not sound innovative, but it’s something that often gets forgotten about. You already know how crucial referrals can be for pulling in new business, but expecting them to happen isn’t enough. 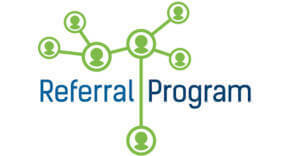 Perfect your strategy for asking for referrals by trying new methods or tweaking your existing referral program. Don’t take short cuts and just rely on offering benefits to those who make a referral. Come up with a compelling speech to ask for referrals without being too pushy, create a video, create a convincing email or send an actual postcard to your clients. You might already tweet or have a Facebook page, but that’s not enough these days. Consider creating a YouTube channel for your product or service on which you can display detailed instructional videos. Take some eye-catching photographs for Instagram. Maximize your presence on all outlets, and don’t forget about influencers. YouTube and Instagram personalities are amassing huge followings that buy any product recommended to them. Don’t rely on expressing your product’s purpose(s) and features. Do the research to point out a problem your customers might not be aware of that your product can fix. Put a detailed document together that shows them what exactly needs to be fixed, how you can help them fix it and what it will cost them to fix that particular problem or set of problems. Evaluating the concerns and needs of the customer builds trust, improves your knowledge of a targeted consumer base, and improves the overall experience. This will set you apart from your competitors who all have similar stories and products but just aren’t putting forth the time and effort to bring them to their client’s attention. This requires discipline so you need to go to work and start pointing out and solving client problems. 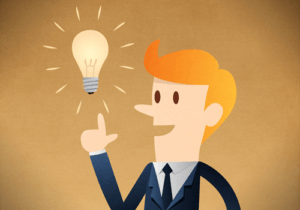 Do you have a company mission statement or a sales mission statement? If not, create one and keep it simple. Consumers are hit with hundreds of advertisements a day, so they don’t search through long, rambling messages to figure out what you do. Keep it short, simple and attractive. If your goal is to collect more email addresses via your website, make sure that you have a compelling reason for people to provide their email address. This compelling call to action could be an exclusive White Paper or a $500 give away to someone that signs up for your newsletter this month. Many businesses underestimate the power of content marketing. People spend hours every day on the Internet, so online content is a valuable resource. Many companies and freelance writers can create short articles using search engine optimization practices. These articles can pull online traffic to your site that can turn into sales. Ensure your content marketing has a Killer Content Strategy. Next PostNext Selling Big – How to Find Your Mission, Message & Purpose in Sales!